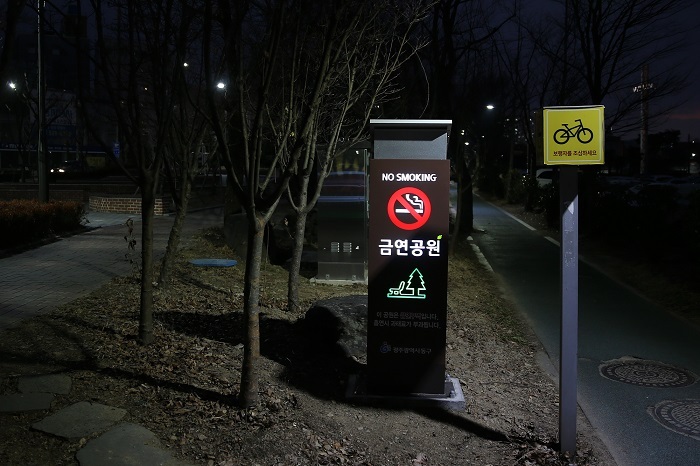 GWANGJU, Jan. 23 (Korea Bizwire) — Gwangju’s Dong District said Tuesday that LED non-smoking signs powered by solar panels have been installed in five locations throughout the city’s parks. The signs autonomously generate electricity during the day using the solar panels, power that is used to light up the anti-smoking signs at night. 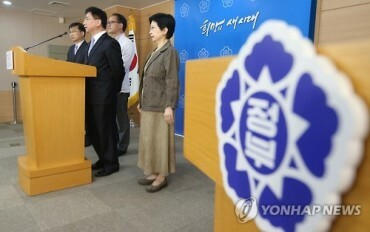 Among 26 non-smoking zones in the district, officials chose to install the new signs in areas where the most complaints related to smoking have been reported.